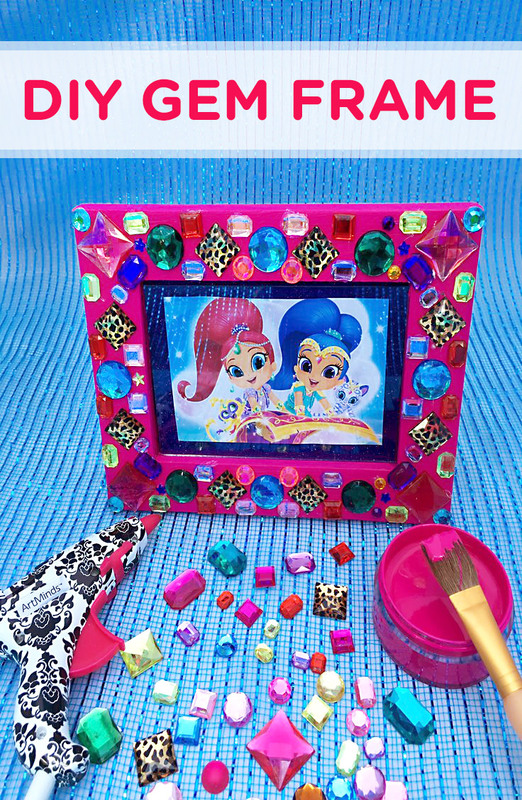 Glue rhinestone gems to a picture frame for a magically bedazzled keepsake! 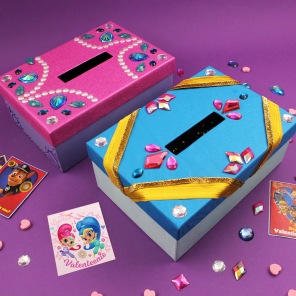 Gems play a very important role in season two of Shimmer and Shine. How special it will be for your child to create their very own one-of-a-kind, DIY gem frame? 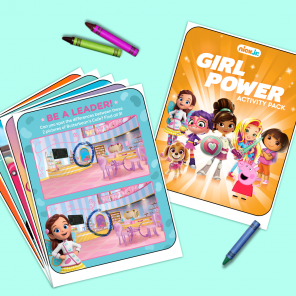 Make it together as a team and fill it with their favorite friend from Shimmer and Shine or an adorable portrait or selfie! Step One: Use a paint brush to paint the flat surface of the front of the photo frame. Allow a couple of hours to dry. Step Two: Place the gems on the dry painted surface of the photo frame in the pattern of your choice. Kids can design as they please! Step Three: Now is the time for mom or dad’s help. Plug in the hot glue gun and put a small amount of glue under each gem until all the gems are securely glued to the frame. Step Four: Allow to dry and fill with the photo of your choice!